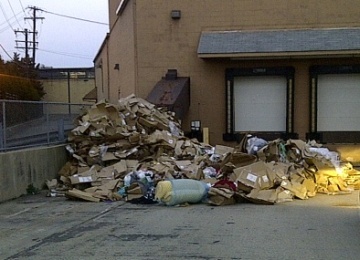 Unfortunately, illegal dumping like this is all too common, but we'll get it hauled away fast and disposed of legally. For reasons we don’t understand, some people illegally discard their large or construction debris on commercial properties. It’s been an ongoing issue for years and unfortunately, it’s likely to continue. 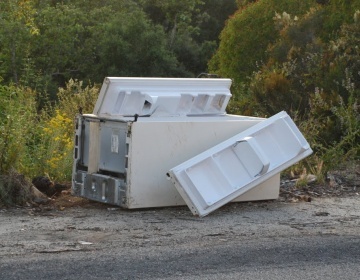 Although illegal dumping is beyond our control, we have the ability to act quickly to remove and legally dispose of it. We have trucks large enough to accommodate these issues. Our drivers notify us when there is bulk debris or illegally dumped items in the parking lot and within 24 hours, we are out on location to remove. 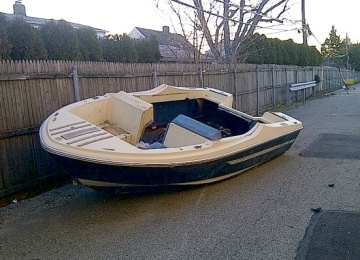 We can also remove cars and boats that have been abandoned.